Sharing his knowledge and experience with People Matters, in an exclusive interaction, Tapan Singhel, Managing Director (MD) and Chief Executive Officer (CEO) of Bajaj Allianz General Insurance talks about the advantages India’s growing general insurance sector presents and shares what it takes to become a good insurer. The growing awareness and increasing disposable income are gradually pushing insurance penetration in the country and contributing to the proliferation of insurance schemes. As of December 2018, the insurance industry of India consists of 57 insurance companies of which 24 are in the life insurance business and 33 are non-life insurers. Among the non-life insurers, there are six public sector insurers, while others are mostly private entities. One of which is Bajaj Allianz General Insurance, a private general insurance company in India that is a joint venture between Bajaj Finserv Limited (formerly part of Bajaj Auto Limited) owned by the Bajaj Group of India and Allianz SE, a German financial services company. 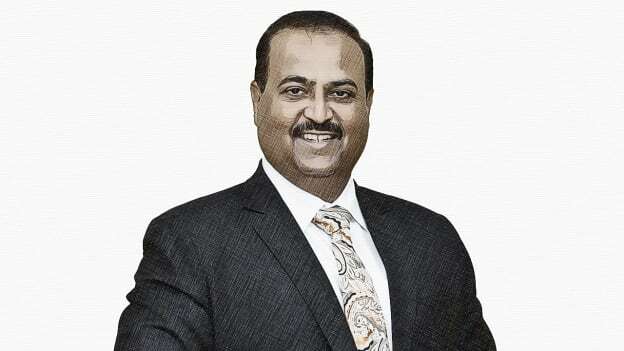 Leading the company from the front is Tapan Singhel, Managing Director (MD) and Chief Executive Officer (CEO) of Bajaj Allianz General Insurance. Tapan has been with the company for more than 14 years and has been heading it for almost seven years. With awards like CEO of the year 2016 by Insurance Asia and India's most trusted CEO 2017 by WCRC Leaders Asia, Tapan inspires many. Sharing his knowledge and experience with People Matters, in an exclusive interaction, Tapan talks about the advantages of India’s growing general insurance sector and the possibilities it presents for the talent. He also discusses how technology is impacting business and talent requirements and shares what it takes to become a good insurer. From product innovation to vibrant distribution channels, the insurance industry has been transforming. In this continuously evolving ecosystem, what are some of the advantages and uniqueness of India’s general insurance sector? The general insurance (GI) sector in India can be called the ‘Sunrise Industry’. The current penetration of the general insurance sector in India is quite low. For instance, the contribution it makes to the GDP is less than 1 percentage. This means it has much more scope to grow and evolve. The GI industry will be on a growth path for the next 20 to 30 years as the overall insurance industry is expected to reach $280 Bn by 2020. Demographic factors such as growing middle class, young insurable population and growing awareness of the need for protection will be some of the factors contributing towards this growth. What windows of opportunities does the growing general insurance sector open for talent? The general insurance sector holds possibilities for talent from diverse backgrounds. In Bajaj Allianz General Insurance, we have hired MBA graduates, engineering graduates, veterinary doctors, allopathy doctors, nurses, experts from nuclear and thermal power plants, writers, data scientists, AIML experts, chartered accountants, financial planners, sales trainers, among others. There is probably no single field that we have excluded while recruiting people for some core roles in the company. The insurance industry usually covers nearly everything under the sun other than natural death which is dealt with by the life insurance company. In my 27 years of experience as an insurer, my key learning has been that the core of our business or what we do actually is that if something goes wrong with someone, we try to put them back into the situation he or she was before the incident or loss. The general insurance sector is for anyone with a purpose to do good and a desire to learn and grow in diverse fields and these are also qualities that the employers are looking for. If you would have to describe in brief, what does it take to become a good insurer? As a leader, how do you ensure that this behavior is inculcated in the entire organization? Integrity, a collaborative attitude, intent, and ability to solve problems and find easy, simple solutions and a good heart are a few things that take to become a good insurer. Culture is to be imbibed and ran coherently by every employee for a long period of time. The new people who join the company will eventually adapt to it. The senior team including me in our company from the beginning has developed a common mindset. For us, the people come first and in everything we do, we keep them in mind and stand by them. It’s not possible for us to expect them to be empathetic with customers if we don’t have any empathy for our employees. Secondly, our families become very close through the policies formulated to encourage them. The idea strongly is, if you can’t take care of your family, then how will you be able to deal with the customers? Thirdly, we have zero tolerance for lack of integrity. Instead of selling tangible cars or washing machines, we are selling a promise and it demands us to live up to our word. We practice and deliver what we promised, whether its customers or employees. When people see leadership and their peers display a collaborative and problem-solving attitude and notice how they work with integrity, they adapt to the same behavior and grow in the company accordingly. What emerging business opportunities do you foresee in the upcoming fiscal year? What talent strategies and policies would be needed to make most of these opportunities? To simply describe the GI business, it is collecting money from many to pay to a few as per the contract given to them. Hence, as the custodian of money on behalf of many people, checking if any fraud is happening is absolutely critical. To eliminate any fraudulent activity, when a claim is made the company asks a lot of questions to ensure that the money goes to the right hands. A major change that has disrupted this process of inquiry is the increased use of tech and analytics. Now with the help of AI, data analytics, social media posts, mobile camera phones, video recordings, and satellite imageries, the conventional process of ascertaining if the claims are right or not has become simpler and more efficient. Seventeen years back, it took three to four months to get an insurance claim. Today the technological advancements have made it possible to get the entire money within ten minutes once the information is verified and approved quickly and seamlessly. The combination of tech and the problem-solving attitude of the talent is what will define a company’s success going forward. While technology is making processes simpler, what are some challenges it also presents? Especially, how does it impact the demand for skill sets and how do you deal with them? The only skill set an employee should have is the ability to solve a problem. The innovation will keep on occurring and challenging the business. The leaders have to be flexible in solving the emerging problems. While building in-house capabilities is important, it is equally essential to seek assistance from outside. If the solution to our problem is with someone external to our company, we collaborate with them. In another scenario where the solution is unavailable, we attempt to create a solution, using technology and common sense. Today we already have so many tech solutions to choose from. What the company needs is talent that’s willing to solve problems and has the ability, knowledge, and experience to identify what tools can be used to provide simple solutions. How do you think the current workforce can prepare for the future of work? The only thing that is certain about the future of work is that it is uncertain. In this scenario, the workforce has to identify the one skill set which ensures that they are job ready forever. Besides focusing on learning or education, the emerging generation of workforce needs to focus on consciously developing a problem-solving mindset. Look out for problems, ask the right questions and work towards finding the answers to them. Also, on a lighter side, in this fast moving pace of innovation and development, it is important to take care of your mental health and try to take things positively with a sense of humor. Keep on working, failing and learning.